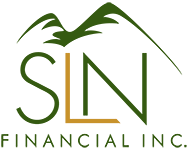 July 1, 2015 - 3 Insurance Mistakes You Don't Want To Make When You Retire | SLN Financial, Inc.
Like many important life transitions, retirement comes with a host of emotional and financial changes. Though you may have a lot of other things on your mind when you retire, you don’t want to make these common mistakes that can cost you money (and peace of mind). Is my family adequately protected in the event of my death? Will I be able to qualify for life insurance again if my situation changes? Is there any residual cash value that will affect my taxes? To avoid getting hit with a large bill when the unexpected strikes, many people choose homeowners and auto policies with low deductibles. However, if you have adequate savings, you may be better off raising your deductible by self-insuring and pocketing what you save on premiums. Once you know what your annual premiums would be with lower deductibles, consult an independent insurance expert who can compare rates across multiple insurance companies to help you get the best deal. Do I have the right life insurance strategy for my family’s financial needs? Do I have enough of a financial safety net? Am I carrying enough insurance to protect my financial assets? Am I carrying too much or unnecessary insurance? Have I taken advantage of all discounts or cost saving opportunities? How will I pay for healthcare in retirement?